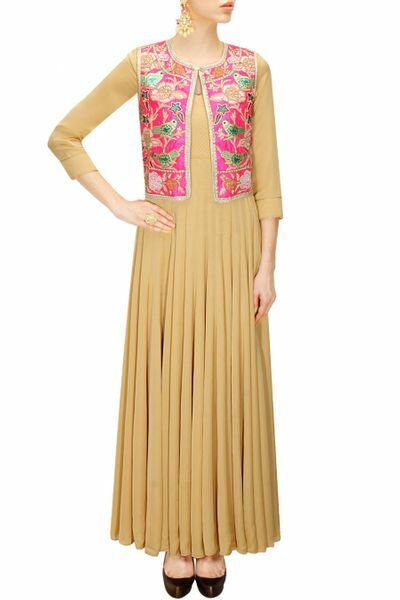 Surabhi Arya is a brand based in Delhi NCR with its roots in one of the most glorious states of India i.e., Rajasthan. 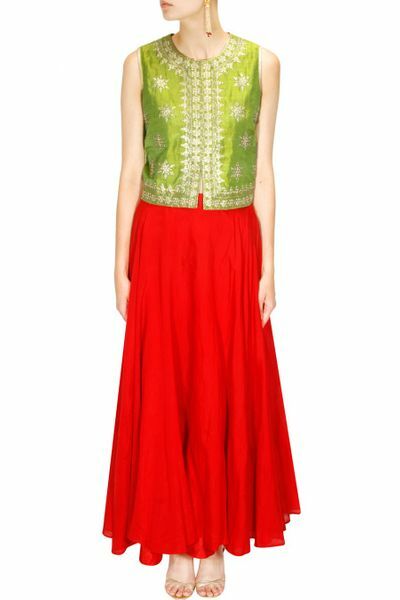 It plays around with antique indian motifs to create beguiling contemporary pieces. 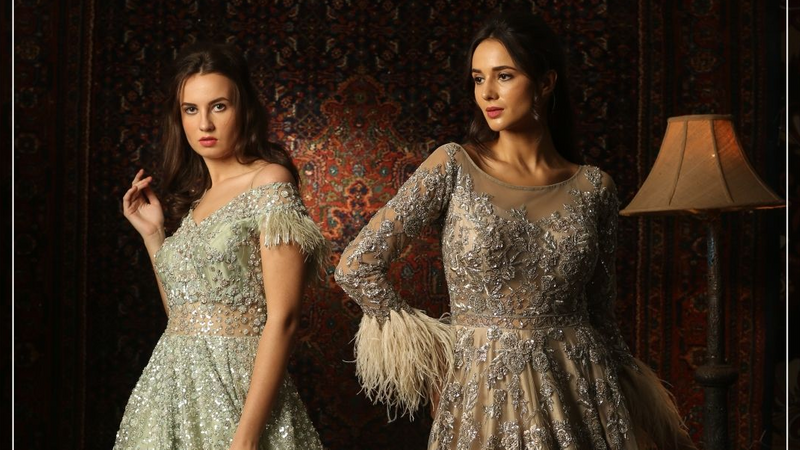 There is an incorporation of vivid elements to create a bespoke fusion of Indian embroideries and western silhouettes in a tempting colour palette. Elegant, subtle, traditional yet modern is how one can describe the brand. 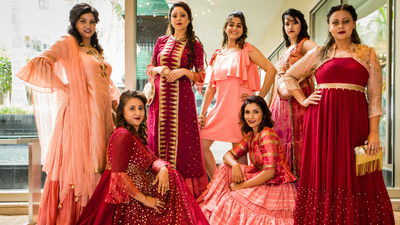 Surabhi Arya as a brand feels that there is an inherent psychology in fashion which is extended through clothing and portrayed by the wearer. 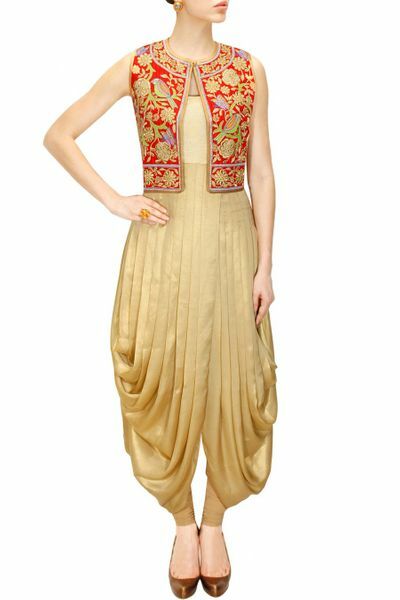 They offer a stylish and exquisite collection of Indian ethnic wear. They have been associated with WedMeGood for over 3 years. 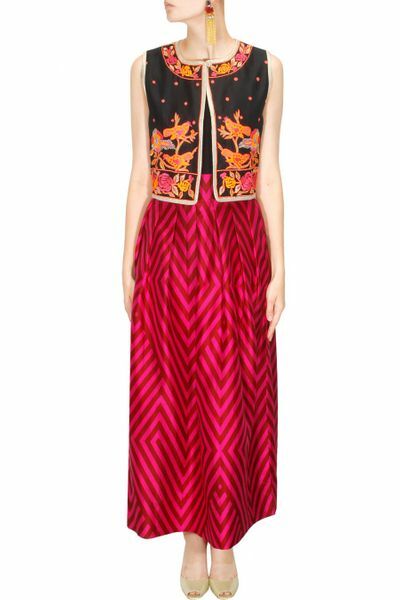 Surabhi Arya is an amazing designer, fresh with new ideas and amazing mix of traditional and modern Indian wear. 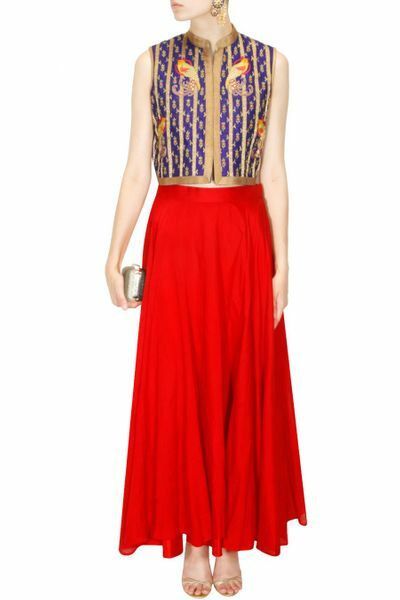 Her impeccable attention to detail and colors makes you feel so beautiful and stylish! 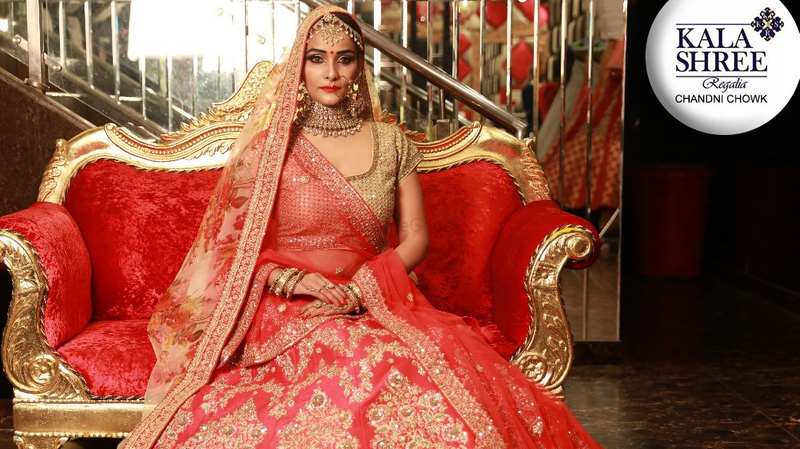 Surabhi Arya is an unstoppable force in the Indian fashion industry and her work will no doubt make any occasion unforgettable! 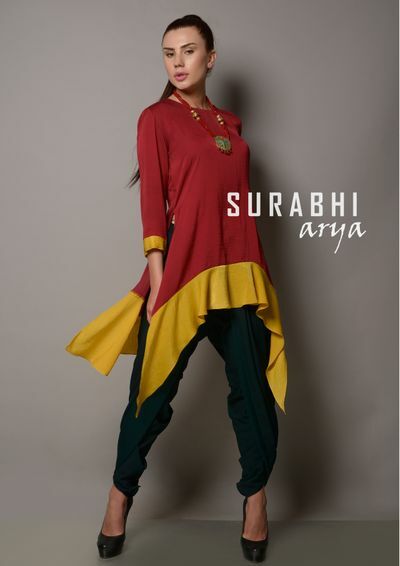 I love wearing Surabhi Arya outfits... They are stylish, vibrant n so wearable. Her jackets are just so awesome.... 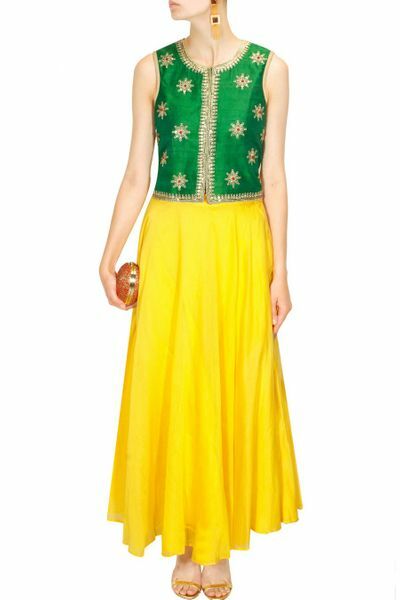 They always fetch me compliments.... its a one stop shop...from light kurtis to heavy anarkalis , you get all.... They make you look different from the crowd. Her styling is just so awesome... I always wait for her new launch... Keep it up surabhi....!! Hi , It was my son's first bday party nd my dress was not finalised when there is only one week left for the party. 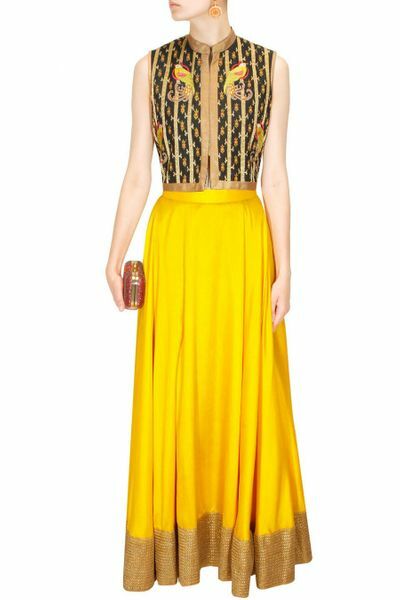 Then I ordered one of her piece to wear which was very elegant and was stitched according to my measurements!!! I received a lot of complements that day!!! Surabhi is an extremely talented designer. To have such an amazing insight and precision at this young age makes her a great entrepreneur. 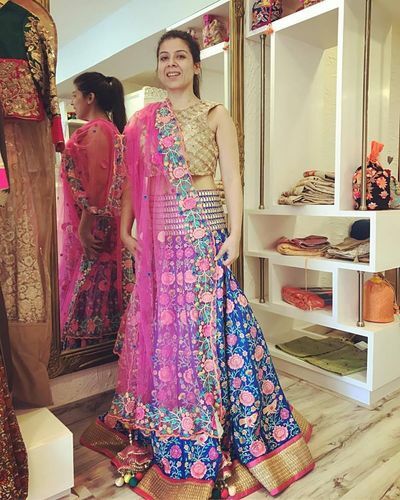 Her use of colours, designs and embroidery makes her work all the more unique and exciting. The trademark "Bird Jackets" are loved by one and all. It's my great pleasure knowing such a beautiful and talented person. Wish you all the very best, Surabhi Arya ! Surabhi Arya has a unique classy flair for designing. Apart from creativity, her clothing line caters to all varied tastes. 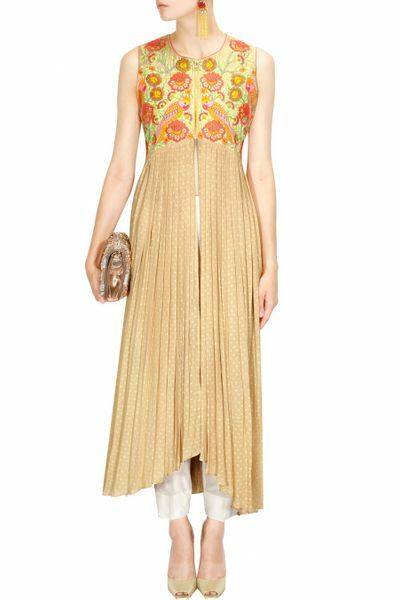 Be it ethnic, western or indo western, all are made keeping the latest trends in mind. ..Strongly recommend Label Surabhi Arya for all age groups. Very good designs, amazing entrepreneur. Love all your concepts. Me and my wife follow you on Instagram and Facebook regularly. Good luck, we would love to see a lot of stores of your label a cross India. love your designs, awesome work. 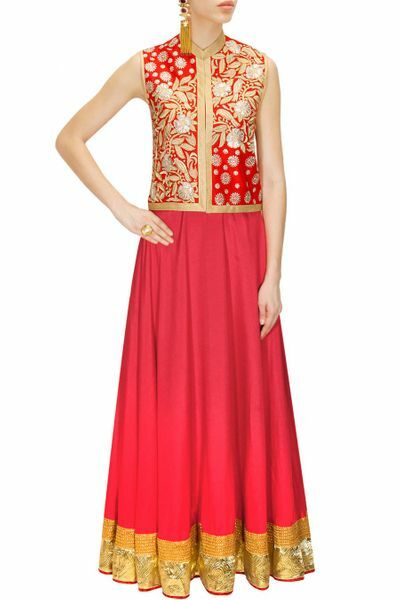 The embroideries are very intricate in all the suits, love your mehendi lehengas and bridal wear. Everyone who is looking for a unique trosseau wear must get in touch with her as she would have the most intresting and different designs. Great designs , great embroideries and amazing colour combinations. Me and both my daughters always look up to her for all the Indian wear outfits. The best part is we get outfits apt for all age groups with her. She makes girly outfits and outfits which are subtle and different for our age group as well. Even formal suits have uniqueness in terms of styles and silhouettes so in all she is a great designer and a great person to deal with too. Get best quote from Surabhi Arya and book your date! Check their prices and availability. 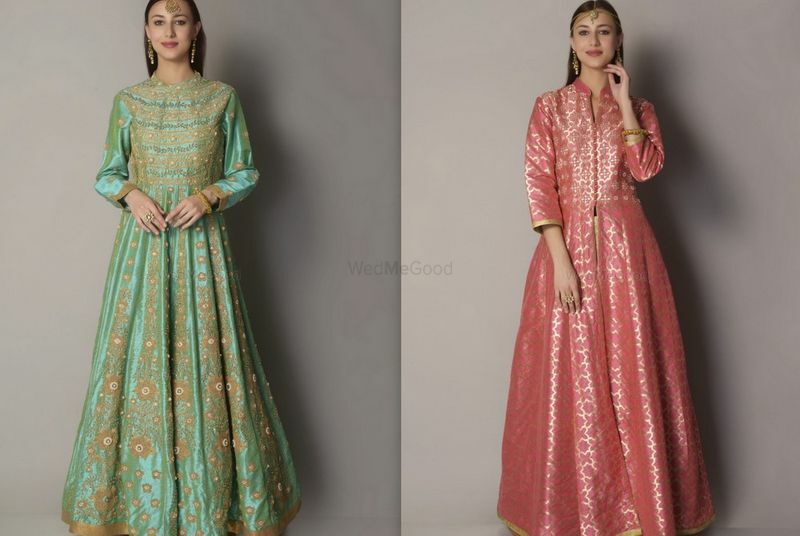 Send enquiry to your selected list of Bridal Wear at WedMeGood and choose the best. 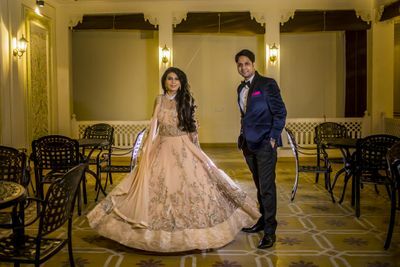 Browse for more Bridal Wear in Delhi NCR and more wedding vendors at WedMeGood and plan your wedding hassle free.